Protests this month at a potential shale gas site in New Brunswick involve an issue that has been at the heart of resource development battles across Canada — the duty to consult and accommodate aboriginal people when the development is on their traditional land. 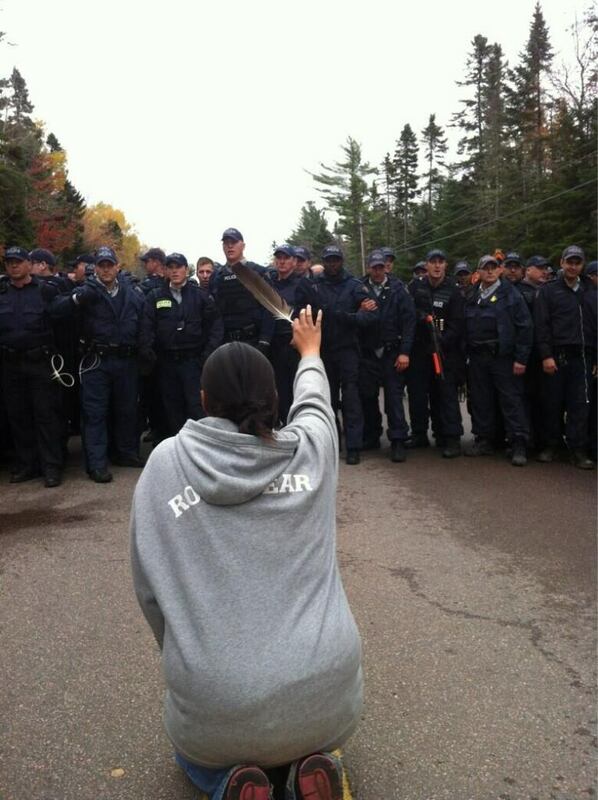 The latest round of the protests by Elsipogtog First Nation members and their supporters resulted in a violent clash Thursday when the RCMP moved in to enforce a court injunction against the protesters' blockade. But long before that, local First Nations leaders were raising concerns about the failure of government and industry to consult with them before development went ahead. Rulings by the Supreme Court of Canada and lower courts have established a duty to consult and accommodate aboriginal people when development is considered on their land, even non-reserve traditional lands. Since the mid-'80s, aboriginal groups have recorded 186 victories in lawsuits over resource development, a 90 per cent success rate. "First Nations have far more legal rights than most Canadians understand," Ken Coates, one of Canada's leading experts on aboriginal issues told CBC Radio in Moncton. The University of Saskatchewan professor explained that the Supreme Court "has made it absolutely, unequivocally clear that First Nations people have to be consulted... and accommodated." Coates said it's not about special treatment, "It means following the law." The exploratory drilling in New Brunswick also faces opposition from the local non-aboriginal community. Allan Marsh, the chair of the nearby local service district for Saint-Charles, told CBC News that the provincial government "isn’t listening to any of the other messages that it’s getting." His county council voted nearly unanimously for a moratorium on shale gas exploitation, Marsh added. 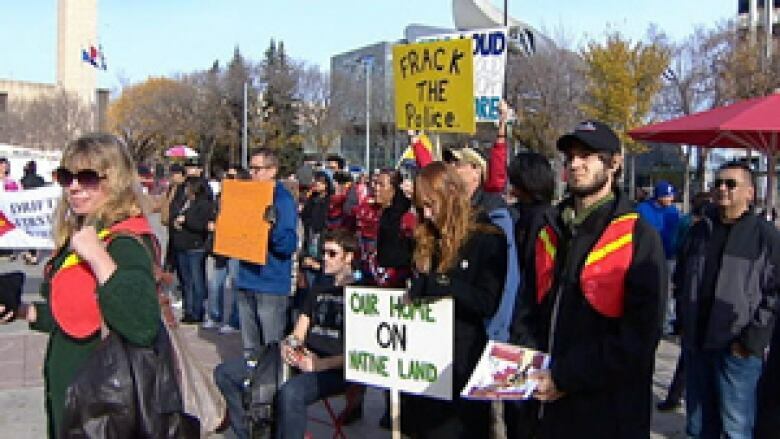 Environmental concerns are also a key issue for many of the protesters, a topic CBC News covers in other stories. First Nations in New Brunswick didn't surrender their land through treaties, Stephen Augustine, the principal of Unama'ki College at Cape Breton University, told CBC News. "Those pre-Confederation treaties were just treaties of peace and friendship, the government of Canada has acknowledged that," he said. The situation is "unlike any other found in Canada," according to the federal government. "Under the Peace and Friendship Treaties of 1760 and 1761 in the Maritimes, the Mi’kmaq and the Maliseet signatories did not surrender rights to lands or resources," Aboriginal Affairs states on their website. The lack of perceived progress in land claims settlement underlies the latest protests in New Brunswick and across Canada, according to Augustine. He is originally from Elsipogtog and is a hereditary chief of the Signigtog region. Elsipogtog is also in the area of the province where the Mi'kmaq have won important legal victories at the Supreme Court, establishing their rights to hunt, fish and trap and harvest lumber. 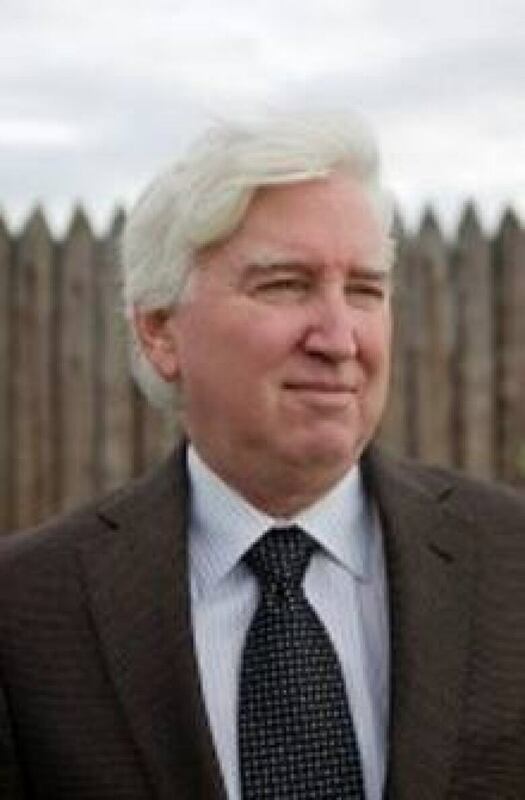 "This is an area that has seen a fair amount of rocking and rolling in the access to resources and treaty rights and aboriginal rights drama," says Bill Gallagher, lawyer and author of the 2012 book Resource Rulers: Fortune and Folly on Canada's Road to Resources. Gallagher worked for the federal government as a treaty land entitlement officer on the Prairies, but spent the first third of his life in New Brunswick's east coast region that includes Elsipogtog, Rexton and Burnt Church. He sees this month's protest as part of a continuum. "People have to realize that there's unfinished business across the country and it's no longer business as usual anywhere in the country." Gallagher says the New Brunswick government needs to go back and address the issues that were there at the very outset of this development, and "if there has been insufficient consultation, that has to be redoubled." There should be a serious cooling-off period, as well, he adds. After CBC News spoke to Gallagher, Premier David Alward and Elsipogtog Chief Aaron Sock met Friday night and agreed on a cooling-off period. Following Thursday's violence and arrests, the protests went cross-country, with over 45 planned on short notice for the next day. Shannon Houle, a band councillor with Saddle Lake Cree Nation in northern Alberta, went to the protest in Edmonton. She says it was an act of solidarity not only with the Mi'kmaw people but solidarity with the land and the water as well. "We have a responsibility to protect these lands and defend them." 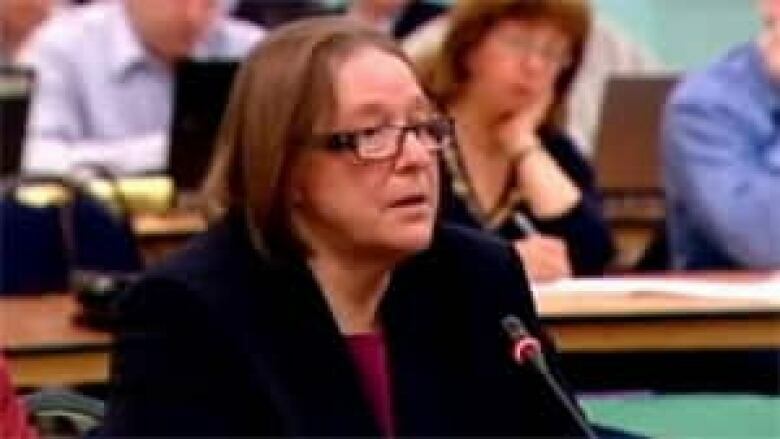 Although Houle is not opposed to development on First Nation land — she told CBC News about resource agreements Saddle Lake has with companies — she said fracking is out of the question. "It leaves too much damage underneath to the aquifers." Augustine does not rule out the possibility that a First Nation could allow fracking on its land in the future, but said it would be very difficult to persuade people because of concern about the water. He pointed to an example from earlier this year at Lake Ainslie, N.S., where aboriginal and non-aboriginal opponents of fracking succeeding in blocking plans for a possible fracking project. Many resource developments, however, do have the support and participation of a First Nation. In Alberta, aboriginal entrepreneur Dave Tuccaro said he has been working with oilsands developers for more than 30 years and has developed a good working relationship with the companies. “There are issues that still have to be ironed out, I’m sure, but in the end we need to benefit by any kind of development that happens no matter where it is. Whether it’s shale gas in the East Coast or oilsands in Alberta, nickel in Voisey Bay, diamonds in N.W.T., pipelines going across from Alberta to B.C., we need to be involved and we need to own some of this stuff." Tuccaro said he didn’t have enough information about the current conflict in New Brunswick to comment, but that in general terms, anybody that’s going to develop resources in Canada has a legal duty to consult the aboriginal community if that development is on or near their traditional lands. Nellie Cournoyea, chair and CEO of the Inuvialuit Regional Corporation and former premier of the Northwest Territories, said all the comprehensive claims in the territory that have been settled in the last 25 years are clear on how resource development should treat the land and the people who live in the region. “The companies, when they operate up here, they know what the name of the game is and it’s been like that for many, many years,” she said. Cournoyea said that whether it's in the Northwest Territories or New Brunswick, if there hasn’t been due diligence, you’re going to have severe opposition. 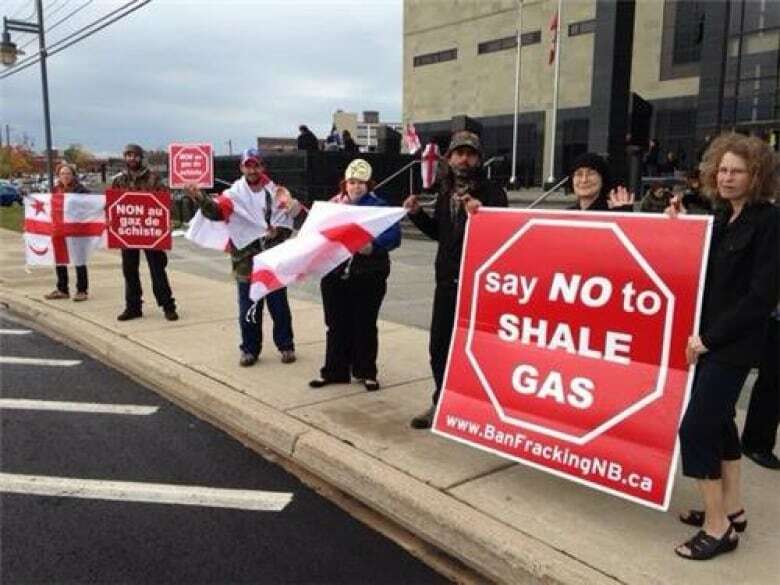 Supportive anti-fracking protests sprout in N.S. Dave Tuccaro bio | Tuccaro Inc.